Finland is the 8th largest country in Europe and with 5. 5 million people it is the most sparsely populated in the European Union. Finland regularly earns highest ratings in education, economic competitivness, civil liberties, quality of life, human resources, and a 70% universal health coverage, paid maternity leave, the World’s highest standard of living, and full suffrage since 1901. Finland is considered by many people the best governed country in the world. As a US citizen, I enjoy statistics such as these because they provide me a perspective when evaluating my nation. With a tax base of over 200 million people and arguably one of the World’s wealthiest countries, the US will not provide universal healthcare, and that’s just for starters. 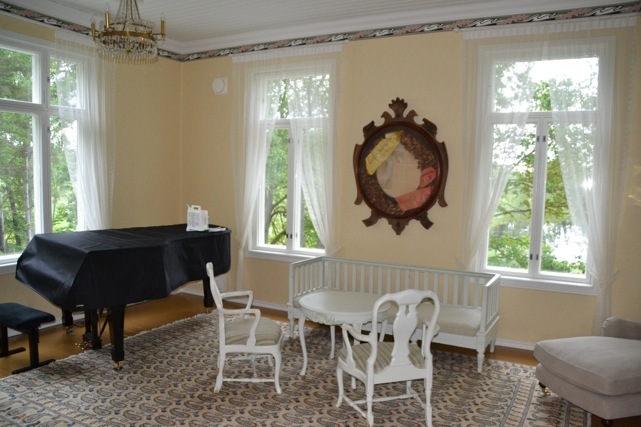 Prompting all the above were photographs from friends showing two of three vacation cottages owned by the Musicians Union of Finland. They are in southern Finland on a lake near the ocean and both are available via lotttery to union members for very low rates. Also available to members is Union owned housing in London and Berlin. Given Ontarian’s obsession with their summer cottages “up north”, this might be an idea worthy of consideration by the Toronto Musician’s Association. 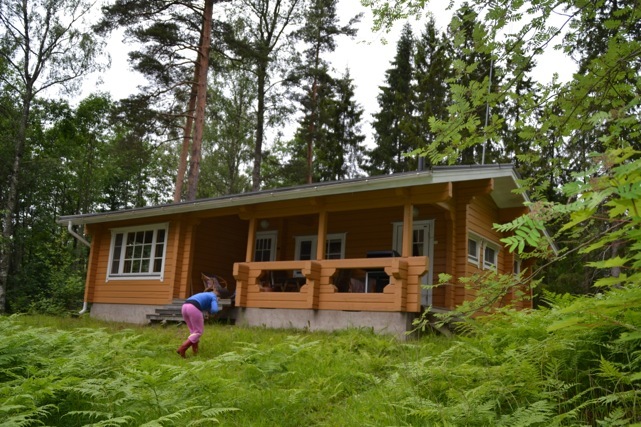 Below are two union owned vacation homes in the south of Finland. My thanks and envy go out to Tiina Laukkanen, Principal timpanist Tampere Philharmonic; her husband Sami Siikala, trumpet, Lahti Symphony Orchestra and their two daughters, Lotta and Lilli Sisko for providing all the photographs. 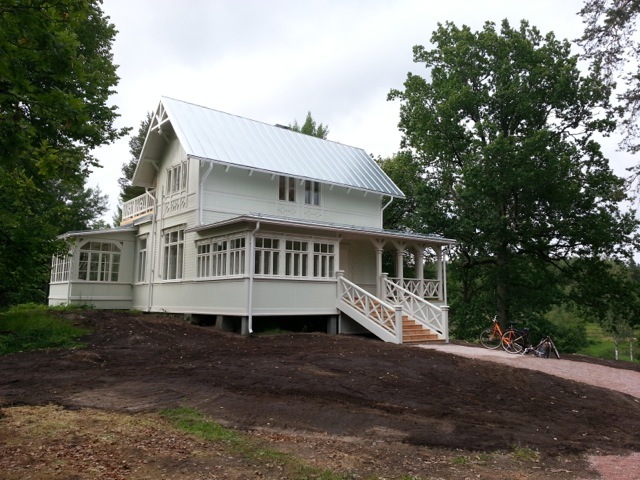 Views of a19th century home refurbished by the Musician’s Union in southern Finland’s lake district. One of two cottages in this style.